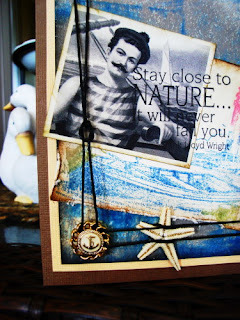 Vada's Blog Stamp Inks and Paper : Grungy Monday #15. Love this fun card- great image! Love it, love how you used the twine. Oh my word, Vada! This is fabulous! Great idea. I like the card. 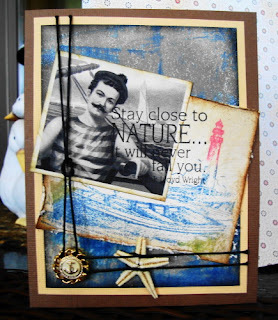 I love how your embossed background turned out! So perfect with the ocean scene! Great vintage image! You tied all the elements together so perfectly! Huggies to you! love that image and the great color you layered with. This is a great card - love that picture! !